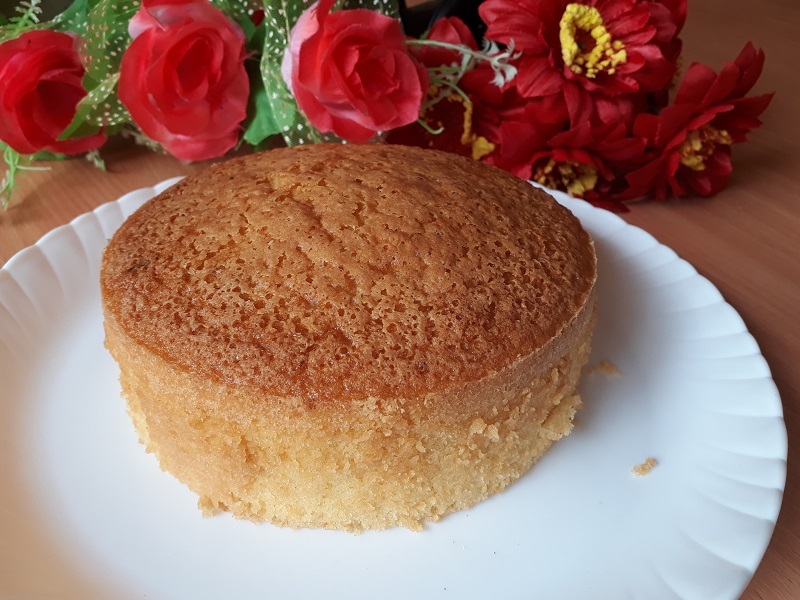 Hi all here I am sharing with you a simple vanilla sponge cake recipe. You can also make it in the pressure cooker. 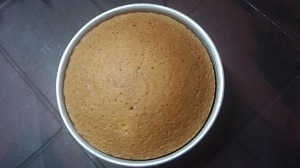 The texture of the cake is very soft and spongy. You can convert it in chocolate cake by adding 2 table spoon coco powder. 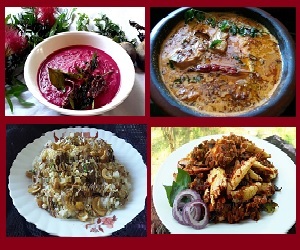 Let’s see the making bellow with detailed images, do try this recipe and send your feedbacks in comment box. 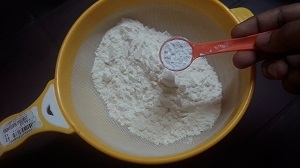 In a bowl sieve all purpose flour and baking powder 3 times and keep it aside. 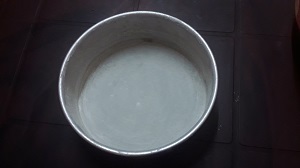 Grease a baking tin with butter and sprinkle some flour in it. Otherwise add greased butter paper in to the tin and keep it aside. 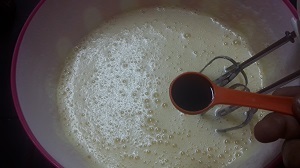 Add 1 cup granulated sugar in a mixer jar and make it a fine powder. Keep it aside. 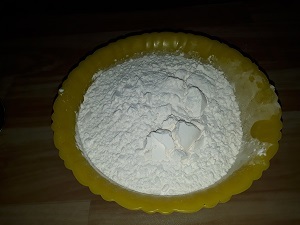 In a large bowl add 5 eggs and powdered sugar. Beat until its become fluffy. Add vanilla essence and beat it again. 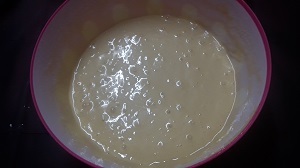 Then add vanilla flour – baking powder mixture and butter. Mix it well using a spatula. Pour the batter in to the greased tin and cook it in the preheated oven in 180 degree for 25 to 30 minutes. 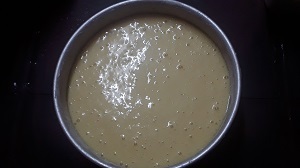 Once the cake is cooked remove it from the oven and keep it aside to cool. Remove it from the tin and apply any frosting that you like. 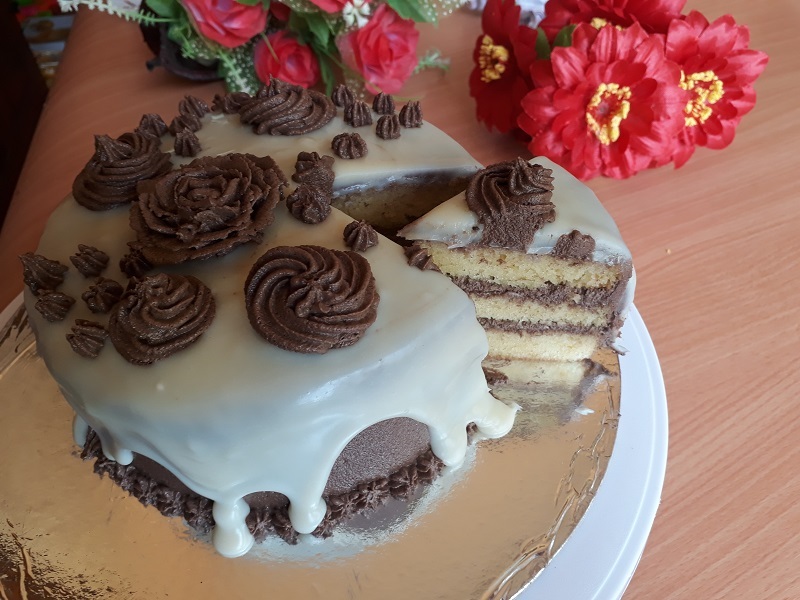 Here I am decorating this vanilla cake with butter cream frosting and white chocolate ganache.